Skyview Center is a mixed-use real estate development with apartments and retail shops located in Flushing, Queens, one of the largest central business districts in New York City. They house 448 luxury condominiums and over 30 unique stores and restaurants. 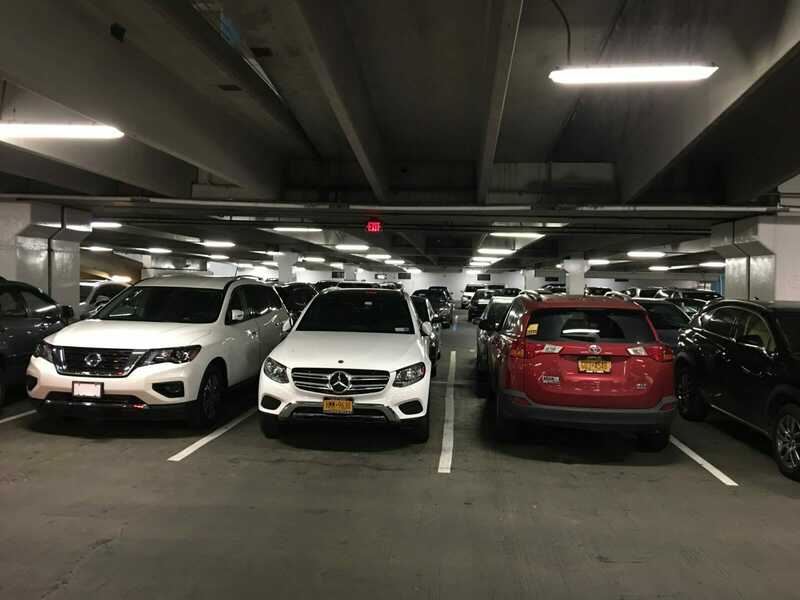 Rather than replacing the existing vaportite fixtures with new fixtures, FSC Lighting developed a retrofit kit that snapped into the existing luminaire. This enabled the customer to reuse fixture housings that were still in good condition, saving on material and labor costs. A reduction of energy was achieved by retrofitting the existing 117 watt T5HO fluorescents to a 28 watt LED system. By adopting the LED solution, the structure will use 1,267,336 fewer kilowatt hours (kWh) per year which represents an annual savings of approximately $190,100. The annual energy savings coupled with the $225K utility rebate made this changeout a no-brainer. The long life of the L-Bar system will also contribute to significant reduction in maintenance costs by nearly eliminating the staggering expense of re-lamping. As an added bonus, the property will be able to pick up additional savings with the daylight harvesting sensors integrated on the fixtures over the ramps. Retail Mall will save 52% 0n lighting costs by retrofitting the existing fluorescent strips.